High-Starting-Torque, 3-Phase Motors are Available in All Standard Voltages at 50 and 60 Hz. These motors are suited to railcar pulling where momentary overoloads occur when a railcar is started in motion. 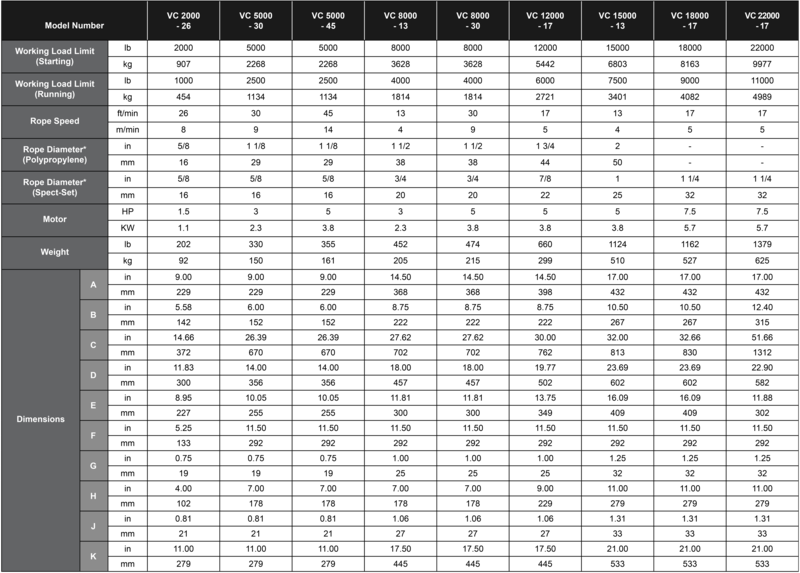 Single phase motors at 115/230 volts at 50 or 60 Hz are available as an option on some models. A direct-drive design increases the efficiency of the capstan winch and eliminates drive chains or bull gears to maximize power output. 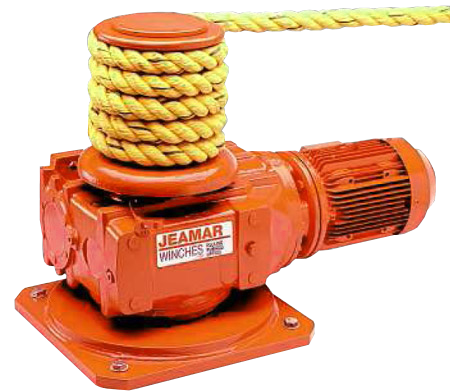 All Jeamar capstan winches utilize high-efficiency worm, helical, helical-worm or helical-bevel reducers plus high-capacity, anti-friction bearings designed for long life, low noise and higher output torque. The rope can leave the drum at any angle, enabling the operator to stand in the most appropriate location. For safety the load line shall be the bottom wrap on the drum, and the lead line going to the operator will be the top wrap on the drum. For detail on pulling railcars up grades, send for our free railcar pulling brochure, or see technical notes.